One of the reasons I went to France earlier this year was to check for myself what happened in the Somme region after World War I. I read many accounts, but they couldn’t tell me what I needed to know. What did I need to know? The cultural impact of war. Historical fiction builds culture. It gives so many of us pathways into understanding how our world sees its past and how people might have lived in it. As fiction, it has fuzzy boundaries, and this is an important part of creating that wonderful past. Some writers use the fuzzy boundaries to create adventure, and some use it to create small private worlds that readers feel they can step into. Some use it to create trauma and let us see the horror of the past. Whatever the writer chooses, they are adding to culture. I used to think that war added to culture, too. This is because some aspects of war do precisely that. We’ve just had a flurry of memory of poets who died in World War I. Those terrible, beautiful, simple rhymes came from horror and represent death. Exquisite and agonising, they are a core part of how we see that war. This is also cultural creation. These personal reactions to damaged lives and to a damaged landscape are part of our healing, and we talk about that, but they’re also part of the act of cultural creation. We create a culture of memory when we engage in war tourism. We’re remembering the war and giving it sets of values. Culturally, it’s how we connect past to future. This doesn’t simply roll into historical fiction. Most historical fiction writers will take the emotions that rise from seeing death and the culture we use to explain those emotions and that death and will weave it into the fabric of their novel. Thus one type of cultural creation feeds into another type. It can be beautiful. It can be sensible. It can be tragic. From any direction, however, it’s cultural creation, often of a powerful kind. It has the power of drawing from several cultural elements and bringing them together and triggering emotions. None of this is the opposite of historical fiction. The opposite of historical fiction is not the scarred landscape, nor is it the scarred lives. We’ve given them story. We’ve created culture for them and we’re very busy creating culture for them every day. The opposite of historical fiction is the past that never makes it into story. One of the reasons humans commit genocide is to wipe the stories of people, their cultures, their memories, their very existence from the planet. This is an aspect of culture that’s so hard to talk about that we often dump the story and add numbers together to turn it into data. This is a terribly difficult subject, for so many reasons, so I’m going to give you just two examples of how these things are the opposite of history. If there’s enough interest, I can post more on it, for it’s part of my research into cultural fabric. Only if there are readers who want, however, for it’s a difficult subject to write about. My first example will concern World War I and my second, World War II. In and around Amiens, I talked with people and I took pictures of places and I visited museums. 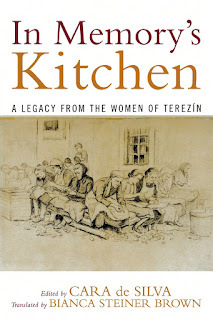 I needed to understand how families from the region recovered after the war. A man I spoke to was from a town that no longer exists. He told me that his family lost everything and that, a hundred years ago, they moved to Amiens to start again. He is a ceramicist and I bought a salt shaker to remind myself that every single bit of the physical culture for that family had to be re-created. We don’t think of locals who never travel more than 20 miles from the place of their ancestors as refugees, but some of the losses the ceramicist's family suffered are the same as the losses refugees suffer. The family didn’t lose their country, or their language. Some of the culture could be re-created and all the oral culture and the cooking and the family stories survived… unless they were linked to physical items. The destruction of private property was so immense that families are still trying to rebuild their physical heritage. They will never get all of it back. It's gone. Local heritage for that region has big holes. The opposite of historical fiction. Not lack of evidence. Destruction of all the objects that link us to the past. If someone had a mourning brooch… it’s gone. If someone had a chair passed down from the Middle Ages and carefully preserved... it’s gone. No number of salt cellars can replace the loss of the family kitchen, in the house the family had lived in for as long as records exist. The house itself is gone. This is not restricted to the Somme. It’s everywhere where towns are destroyed and people are forced to move. Culture is simplified in a brutal way and when it is rebuilt, it’s not the same. My second example is represented by the one book I hoped was stolen when 1209 books were taken from me by thieves. It’s the cookbook I’ve not had the courage to cook from. We all know stories about World War II. We (the broader cultural 'we') don’t tend to read a lot about the women sent to the concentration camps and the death camps. Several groups of women, historians have discovered, sat around talking food. We know (for historians have investigated) that some of these women starved to death while they were remembering recipes and dinner parties. How do we know they were talking food? There are manuscripts, written down on whatever material they could obtain and hidden so that even if they died, people would know who they are. So that their families might have their recipes. So that there was memory. So that their history lived. I can give you any number of reasons why the recipes might have been written down in such terrible circumstances, but that’s guesswork. That’s me trying to re-create the culture that has been destroyed. All we have are the recipes and any notes the recipe-writers gave us. One of these collections has been translated into a cookbook. In Memory’s Kitchen. This is the book I needed to understand. The one that hurts when I see it. It hurts right now, because it’s on my desk because researching the Somme and writing this blogpost has brought me to a realisation. When the recipes of these murdered people sit unread on shelves in libraries, they’re part of the culture death those who killed them so desire. 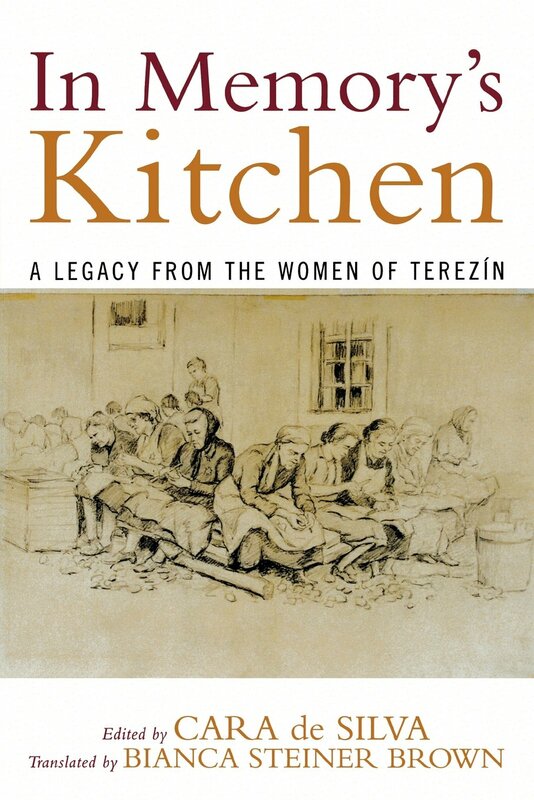 We know that Jewish women on the verge of death wrote down their favourite recipes. That’s all we take into our culture. I need to make something from that cookbook, soon. I need to remember these women and their culture and not share in the erasure of people from the planet. There’s a Jewish festival that starts tonight. This is a good moment to make that impossible step and to move one small part of a destroyed past into living culture.